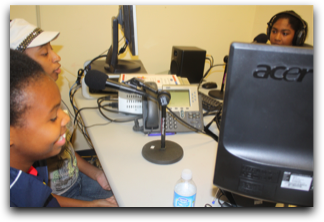 Empower our youth with a donation to WMOCRadio.net! The mentoring program has a tireless history of working with 13-18 year olds to enhance spiritual, emotional and intellectual growth. 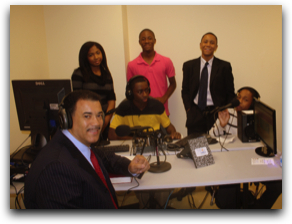 The recent establishment of the WMOCRadio.net internet radio station, supervised by adults and managed by our young, is not simply just another music station. 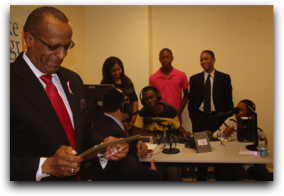 Teenagers are encouraged to produce programs that are challenging, informative and timely in this busy world. 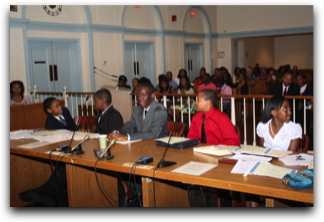 For the past three years the MOBC Mentoring Program has sponsored a Mock Trial program where mentees are coached and trained by outside attorneys for a 6 week time period. Developing critical thinking, responsible behavior and confident leadership in an increasingly shrinking and demanding world is the focus of these three programs. Your investment today will provide a tremendous return for America’s future. The Mount Olive Baptist Church Mentoring Program addresses the core issues facing our young people in today’s society. The program has been designed to encourage young people between the ages of 13 and 18 to think and act as ethical leaders and responsible citizens in the community through spiritual and character development as well as community service. •	Praising the greatness in each of them by providing them with encouragement, hope, confidence and courage. "For over 119 years, Mount Olive Baptist Church has attempted to be at the cross roads of life in Bergen County. In 1889, we were originally founded as an African American congregation. Today, although we are still largely African American, we now see ourselves as a congregation open to all people."